Williams Transco is planning to use a 100-ft wide construction zone along the pipeline route, which is typical for installing a pipe of this size. Within the construction zone, all vegetation is cleared and all surface soils are stripped away, to be replaced later. According to experts at Penn State, it is typical for this process to result in a level of soil compaction that reduces crop and forestry yields for two to three years following the completion of the project. If you find yourself on PA Route 283, consider that east of Mount Joy, where there is a concrete divider in the middle, the entire four-lane highway with shoulders is only 75 feet wide. West of Mount Joy, all the way out to I-83 with few exceptions, the entire highway except for the shoulders is about 100 feet wide. From end to end, PA Route 283 is about 30 miles long. What is claimed is that the equivalent of the width of this entire four-lane highway, end-to-end from I-83 near Harrisburg to Route 30 in Lancaster, plus five more miles, will be bulldozed through prime Lancaster farmland, then put back the way it was. The same goes for Route 30 (everything but the shoulders when there's a grassy median, everything when there isn't), from where the bypass starts near the outlets in Lancaster all the way to the other side of York at the interchange with Route 462. 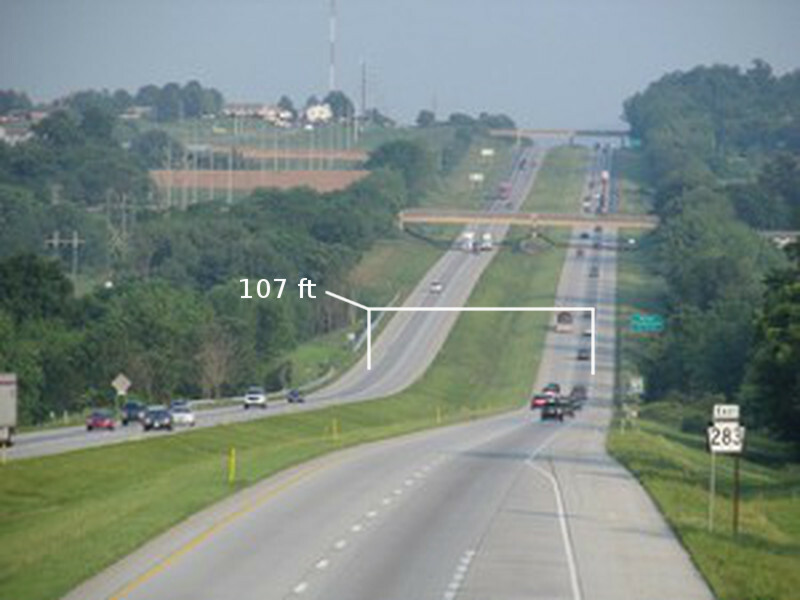 The appearance and scale of modern pipeline installation activities are shown below. With the currently proposed route, what is shown above will occur along just over 35 miles of Lancaster County land. That is a total excavated area of at least 424 acres. Due to the extensive use of "additional temporary workspaces", and the additional area consumed by contractor staging areas and the proposed 42.6 acre pipe yard, the total construction footprint in Lancaster County will be approximately 600 acres. Installed pipe is hydrostatically pressure tested by filling sections with water and pressurizing to the required test pressure level. This water is typically drawn from and discharged to local waterways and can total millions of gallons. Williams Transco has stated in their FERC filings to date that they intend to discharge all water used for pressure testing onto the ground near the construction zone. They have not yet disclosed how much water they plan on consuming from local sources.